Lily Karadada is well known for her representations of Wanjina figures, usually using traditional ochre pigments on a variety of mediums, including bark buckets. 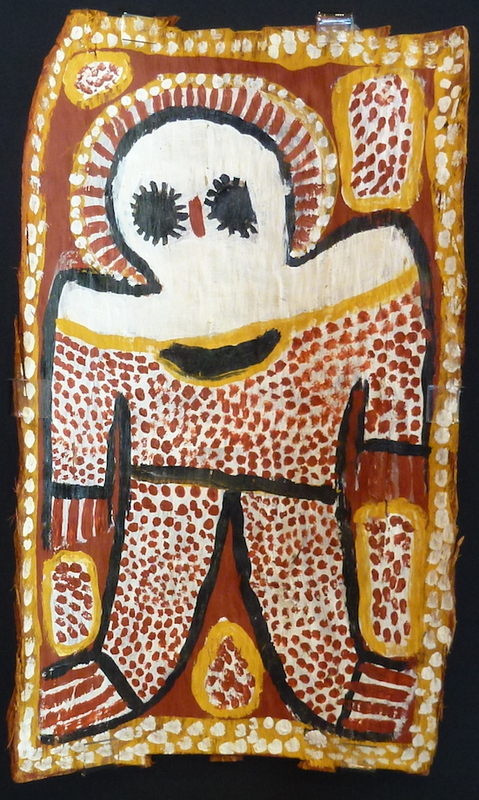 The Wanjina is a key creation figure for the Kimberley region and is often depicted in rock art of the region. The Wanjina is sometimes depicted holding bush buckets, for food or water. Lily has been included in exhibitions both in Australia and internationally and was represented in Images of Power: Aboriginal Art of the Kimberley (NGV, 1993); Power of the Land: Masterpieces of Aboriginal Art (NGV, 1994) and Land Marks (NGV, 2006).